Introducing Sunny Avocado's extra chunky frozen avocado pulp or guacamole. 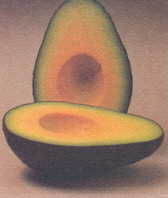 Made from all natural 100% Hass Avocados and hand-selected from our own rich, fertile groves. Carefully processed and packaged under the strictest quality control, Sunny Avocado is then flash frozen; ready to add excitement to your appetizers, salads, side dishes, entrees, and of course, Mexican cuisine. Great taste, consistent texture and color, an outstanding value available 365 days a year. You can't say that about those garden variety avocados. 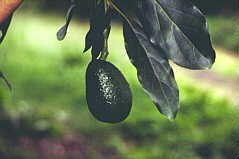 Imagine being able to make your own delicious and unique guacamole without the bother of ripening, peeling, seeding and processing. When you use Sunny Avocado instead of fresh fruit all you do is count the profits .There's no waste, no time loss , and most importantly, no hidden costs. Just the highest quality available at the most economical price. 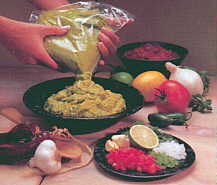 Sunny Avocado comes in different blends: an Original ( mild guacamole ); Plain Avocado Pulp that is specially formulated for our customers to create recipes using their own added ingredients and spices, and a Spicy Blend, that is slightly "hot" and ready to serve guacamole. In addition, we can also offer custom blends to your exact specifications upon request. An exotic starter for your menu with an elegant and delicious taste. 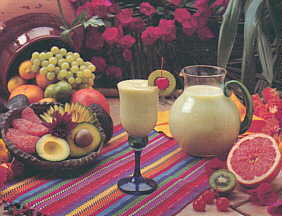 Avocado soup is easy and fast to cook: for each serving a cup of milk put in a blender and an ounce of Sunny Avocado Guacamole. Blend for five seconds. Immediately before serving put in a bowl and heat for 30 seconds in a microwave oven. Garnish with strips of crispy fried tortilla strips. If you prefer a cold avocado soup just chill it after blending. Serve the soup in a bowl. Garnish with chopped cilantro or strips of jalapeño and it's ready. Sunny Avocado Guacamole is an ideal companion for any kind of snack. Add taste and color to your special dish with Sunny Avocado Guacamole. Try fish fingers, salmon croquettes and fried shrimp with the contrasting flavor of guacamole. Serve it with nachos, potato chips, buffalo wings, spare ribs, stuffed chile peppers or miniature tacos. Steak, Chicken , Fish, Shrimp, Lobster and Vegetables served with corn or flour tortilla, chunky salsa and Guacamole. You can add a Mexican style rice and refried beans. The meat, chicken or sea food should be pan or broiled, sliced, mixed with lime juice, and tossed in a very hot iron serving pan. A tasty addition are well browned onions slices. At the table, each guest places some pieces of meat and onion in a tortilla, topping it with salsa and Sunny Avocado Guacamole, creating their own taco before eating. Spicy Blend, that is slightly "hot" and ready to serve guacamole. Sunny Avocado extra chunky frozen avocado pulp is packed in sturdy cartons. Just open, thaw and serve.